It is being reported on the news from both the real estate and home-building industry that things are picking up in the housing market nationwide. There is also some interesting trends right here in Windham, New Hampshire. While six weeks of statistics can't predict much about what will happen in real estate in 2012, they do give us a small glimpse into the future. Wow! Closed sales of single family homes in Windham were up a whopping 100% in 2012 for the period between January 1st and February 15th. 10 homes closed this year versus 5 homes last year at the same time. While this is great news it should be remembered that most of these sales were put under agreement before the New Year and are just closing now. There is also something very interesting about the homes that sold. 50% of the homes sold were priced above $400,000. So of the ten homes sold 5 were priced above $400,000 and 5 were priced below $400,000. This compares to the same period last year when the four of the five homes that sold were priced below $400,000 and one sold just over at $415,000. The average Sales price in 2012 was $451,391 versus $306,900 in 2011 an increase of 47%. This indicates much stronger activity in the upper end of the market. Now, for the less encouraging news about the Windham market in 2012. 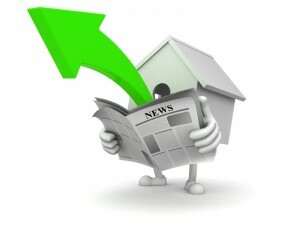 Pending sales during the first six weeks of 2012 declined 21.4%. 11 homes were placed "Pending" in 2012 versus 14 in 2012. This is not a wholly reliable statistic since the M.L.S. uses both "Pending" and "Contingent" to count homes that under agreement. Of the 21 homes that are pending or contingent in Windham as of 02/17/2012 11 are priced over $400,000 and 10 are priced below. Of course, you could just chalk the decline up to the distraction of the Patriots in the Super Bowl. In the condominium market 2 units closed in 2012 versus 0 units in 2011. For Rockingham County as a whole for the period of January 1st to February 15th, single family homes closed sales increased from 177 in 2011 to 206 in 2012 a 16.3% increase. Condominium closed sales increased from 51 in 2011 to 68 in 2012 or a 33% increase. Pending sales volume remained about the same for combined condominium and single family, declining just 1.2%. Again, you're grasping at straws when you try to use six weeks of data to see the future of the market but in spite of that, it was an interesting six weeks indeed.